When you are missing teeth, it can be problematic in several ways. It can affect your ability to chew and enjoy food, for starters. In addition, it can cause you to hide your teeth and avoid smiling because you do not want other people to see that you are missing teeth. Fortunately, cosmetic dentistry has some fixes for this issue, including dental implants. These implants can be a great option for many. However, you might be wondering about the lifespan of dental implants. Many consider dental implants to be the best choice for restorative dentistry today. 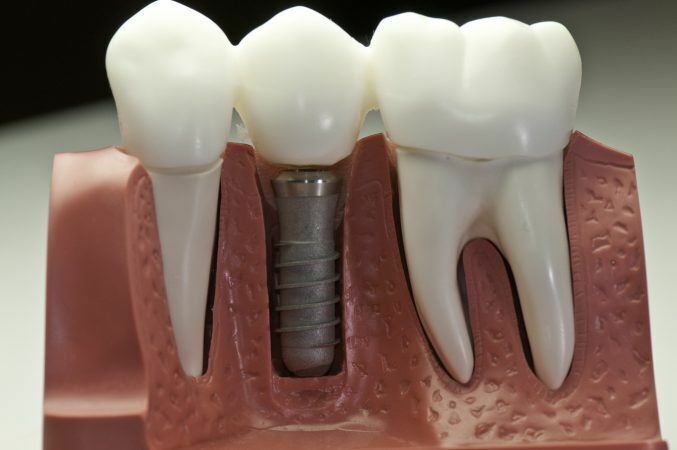 The implants look natural and they function almost exactly like your natural teeth. In addition, they will support the jaw and the facial muscles. One of the best things about the implants is that they are a very durable and long lasting choice. However, a range of things will determine the lifespan of dental implants for you. If not, you might need to go through bone regeneration first. You need to make sure you are a good candidate for implant dentistry. If you are not, you might find that the implants will not take hold in your jaw. You will need to be evaluated by our dentist to see if you are a good fit. You also need to make sure you are working with a dental implants dentist with experience to make sure they are placed properly. If they are not, they may lead to implant failure. It is important to think about your lifestyle, as well. You want to make sure that you choose to take good care of your teeth and gums if you want the implants to last. Take care of the implants, and if you notice a problem, speak with the dentist right away. When you are vigilant about caring for your oral health, you will find that your dental implants have the potential to last for decades. Be sure to get in touch with our dental implants specialists in Overland Park. You can call 913-491-6874 or visit the contact page.